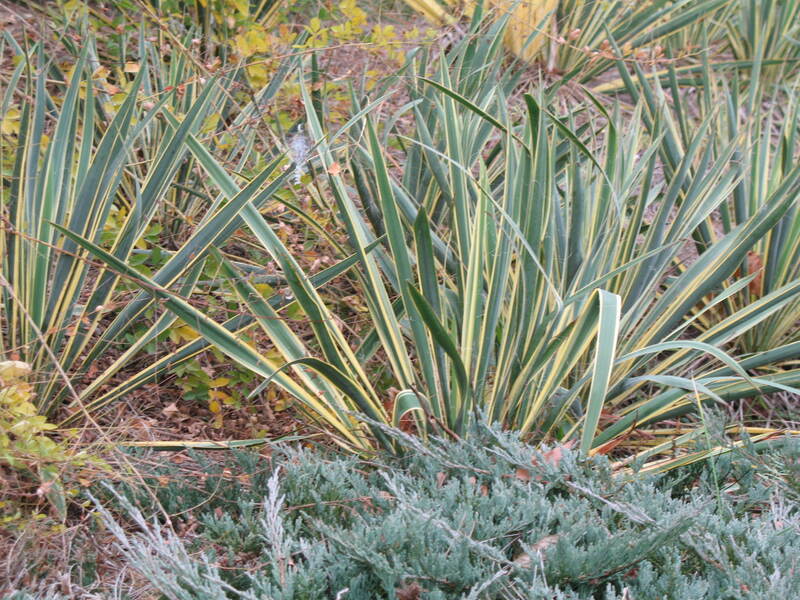 Comments: Foliage of this yucca is green and yellow variegated. The low growing rosette of foliage makes a strong accent in the landscape. Provide a very well drained soil and full sunlight for all yuccas. This one does well in raised planters and containers as an accent plant.